THERE'S ALWAYS TOO MUCH TO EAT AND NEVER ENOUGH TIME, especially when you travel to a new place. The past two years, I’ve slowly been exploring the cities outside of Taipei after years of just staying in town- Taichung, Kaohsiung and Tainan- but there is still so much of Taiwan I've yet to visit. I've never been to Kending, Chiayi or Changhua despite the bookmarks from my instagram feed. 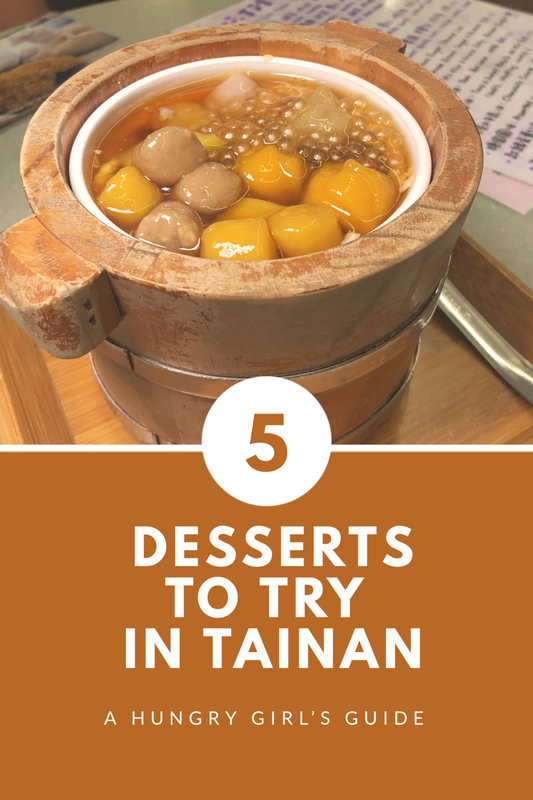 If Tainan is on your to visit list (as it should be) and you need some ideas of where to find dessert worthy of wearing your stretchy pants, I've got you covered. A few weeks ago, I returned to Tainan for an epic day of eats, with desserts on my checklist. After one full day, a high speed rail roundtrip ticket, five official stops (and a few unofficial ones) and 8 hours of eating my way through the city, here is my dessert crawl of sorts (though be warned they are all over the map and not walking distance at all). I kind of fell in love and would totally revisit these places if I ever made my way back to Tainan. This is my second time accepting the gig from the Tainan City Government- they've worked with over 50 shops in 2018 to help business owners with the translation of their menus and to be featured by English bloggers like me. Check out where I went last year to write up 5 spots for the Tainan English Friendly program. It was definitely a LOT of dessert for one day, but it can be done. 😂 Three short day trips definitely can’t capture the entirety of what to eat in Tainan and my first visit to the night market showed that there’s so much more to explore.